The Temporary Graduate Visa, otherwise known as Subclass 485 Visa, is designed for international students who have finished their studies. If you’re an international student, the visa will allow you to work in a job that matches your qualification, and therefore will give you the opportunity to extend your stay in Australia, The duration of which ranges from 18 months to 4 years. With fresh diploma/master degree under your belt, you’re eager to find out what life has to offer outside campus life. That translates to: applying to that position in a startup you’ve always dreamed of; the opportunity to travel the land and last but not least; having an extra 18 months to 4 years to extend your stay in Australia. 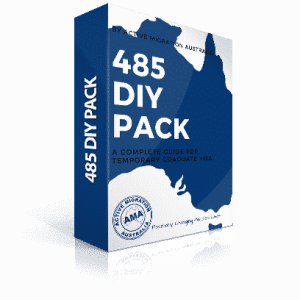 Applying for 485 Visa Yourself? We’ve crafted a complete, clear and easy-to-follow manual to guide you through the process. At Active Migration Australia, we are wholly committed to providing comprehensive up-to-date and professional migration expertise, advice and service. Our exceptional team make it their priority to treat every client as an individual, offering a second-to-none package from start to finish.